More than 500 students, faculty, alumni and guests attended this year’s Medical Ethics Conference on Sunday, October 31, at Yeshiva University’s Washington Heights Wilf Campus. 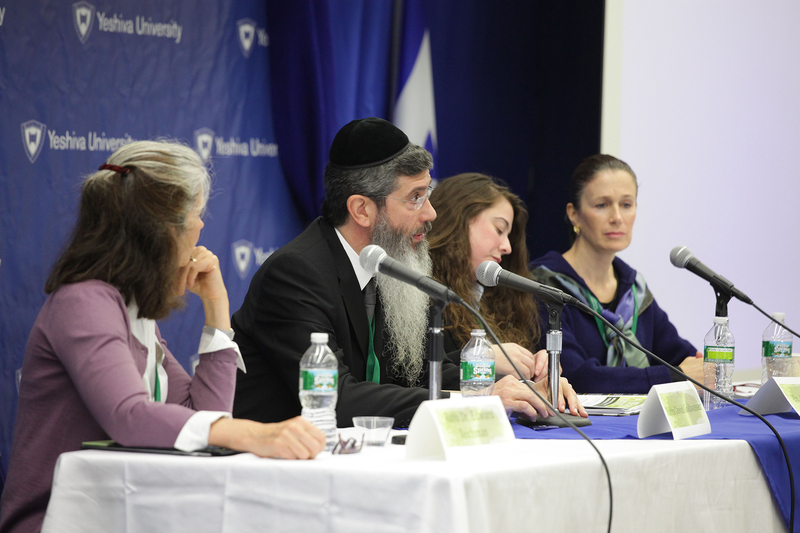 The conference, titled “A Beautiful Mind: Jewish Approaches to Mental Health”—organized by the YU Student Medical Ethics Society (MES) in conjunction with the Center for the Jewish Future (CJF) and sponsored by Rabbi Dovid and Mrs. Anita Fuld—tackled important issues in mental health, coupling medical perspectives with those of leading rabbinic authorities on emerging issues. 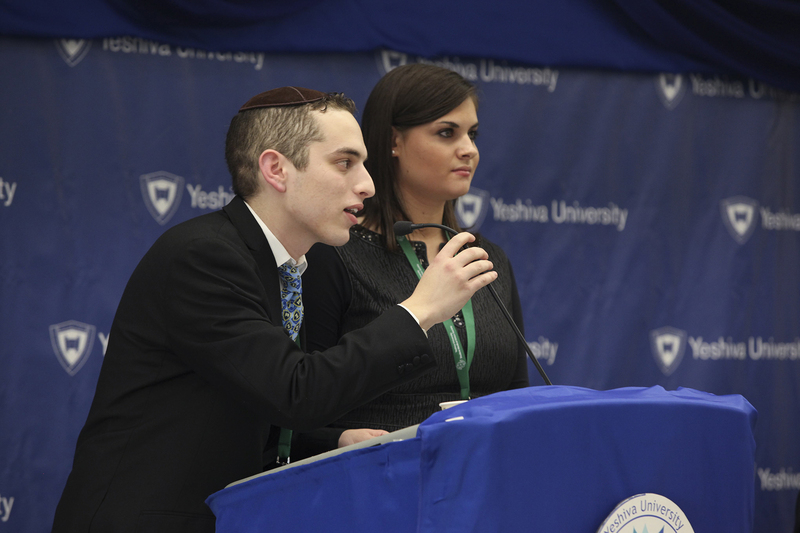 The conference, the fifth organized by MES, followed its similarly successful symposiums on Jewish law and genetics, end-of-life decisions, infertility and organ donation. 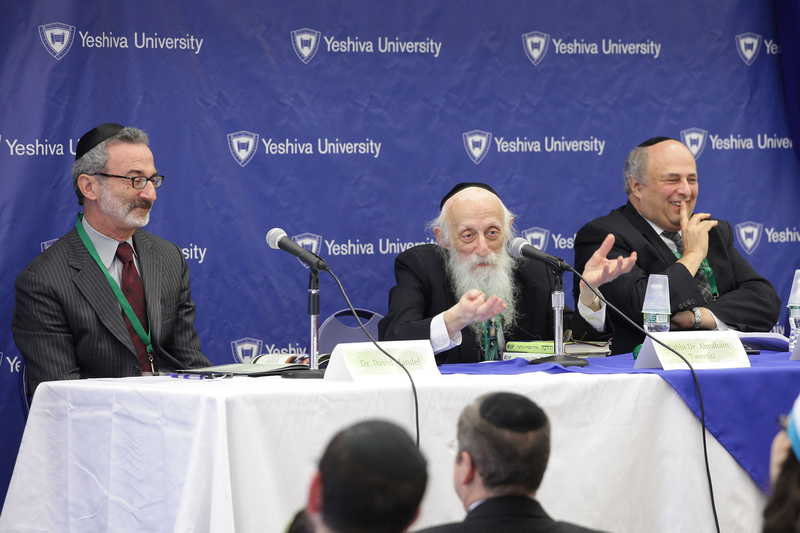 The event featured prominent experts in medicine, mental health and Halacha [Jewish law] in a full day of plenaries and breakout sessions, giving participants the background needed to understand key issues, including suicide, depression, eating disorders, addictions and substance abuse. The more than 50 members of the MES were mentored by Rabbi Edward Reichman, M.D. ’86YC, ’90E, ’97R, associate professor of emergency medicine and associate professor in the Division of Education and Bioethics at YU’s Albert Einstein College of Medicine. Highlighting the importance of mental health, Reichman pointed to the tradition in Jewish prayer to ask for refuat hanefesh [health of the soul] before refuat haguf [health of the body], a hierarchy backed up by medical research. The conference featured other medical experts such as Dr. David Brent, academic chief of child and adolescent psychiatry at Western Psychiatric Institute; Dr. Harvey Kranzler, professor of clinical psychiatry and behavioral sciences and director of the Division of Child and Adolescent Psychiatry at Einstein; and Dr. Tia Powell, director of the Montefiore-Einstein Center for Bioethics and director of the Einstein-Cardozo Masters of Science in Bioethics program. Rabbinic authorities included Rabbi Yona Reiss, The Max and Marion Grill dean of RIETS; Rabbi Mordechai Willig, rosh yeshiva [professor of Talmud] and the Sol Roth professor of Talmud and contemporary Halacha at RIETS; and Rabbi Herschel Schachter, the Nathan and Vivian Fink Distinguished Professor of Talmud at RIETS and head of its Marcos and Adina Katz Kollel.